Personal Finance Forum: More stable Europe next month? LONDON – New figures show Italy has entered recession after two consecutive quarters of growth between July and December 2011. However, it looks as though Italy’s Prime Minister is looking to help bolster his figures by announcing that Italy’s Catholic Church is facing plans to be stripped of its tax-exempt status. Monti has announced that the Vatican must pay taxes on non-religious property, from which it previously enjoyed an exemption. The annual cost could be up to 720m Euros ($945m; £598m). According to municipal government bodies, Italy’s Catholic Church has 110,000 properties worth about 9bn Euros and includes shopping centres and a range of residential property. In December, the government reintroduced a tax paid by anyone who owns land or property in Italy but which the Church does not pay. However a growing wave of Italians is opposed to what they see as special privileges in the face of a tightening economy. Following their government's latest austerity measure package more than 130,000 people signed an online petition calling for the Church's tax exempt status to be revoked. Since 2005, church-run groups and organisations have not been classed as official commercial bodies and have been exempt from paying property tax. According to the Corriere della Sera newspaper, tax authorities will calculate how much of a property is used purely for religious purposes and tax it proportionately. This means a church would remain exempt but a chapel which operates a hostel would pay tax accordingly. Good to see that Gordon Brown is not suffering personally from any of the worldwide financial woes since standing down as Prime Minister. Mr Brown has earned more than £1.4 million since he stood down including fees and expenses. More than £127,000 has been given to charities though, including all proceeds from his book, Beyond the Crash. His most lucrative speech, however, was in Nigeria and earned him £74,936. He has also received more than £180,000 in fees and expenses for work at New York University. Brown’s predecessor in Downing Street, Tony Blair, reportedly earns some £12 million a year on the lecture circuit and from other posts. In my column last month I mentioned that Rolls Royce were cashing in on consumer demand for luxury goods in China. It appears that they are not alone, and In the face of continental economic turmoil, European luxury brands such as Cartier and Burberry are luring emerging markets. In particular these areas include China, Brazil and the Middle East where they are hoping to capitalise on the nouveau riche with an appetite for expensive labels. So, if you can’t afford to buy the goods themselves, this might be a good time to shop for luxury shares instead. Hopefully, by this time next month we will start to have a more stable European outlook. Watch this space. 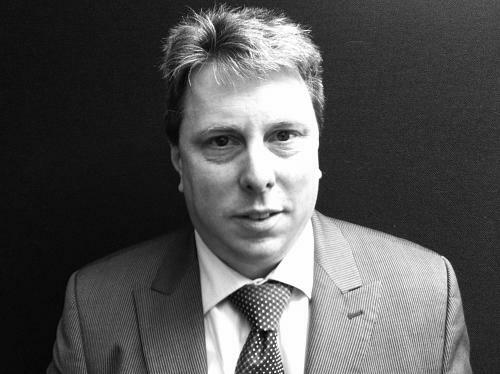 Steve Jacobs is Northern Europe and italy Director at Imperius Asset Management.